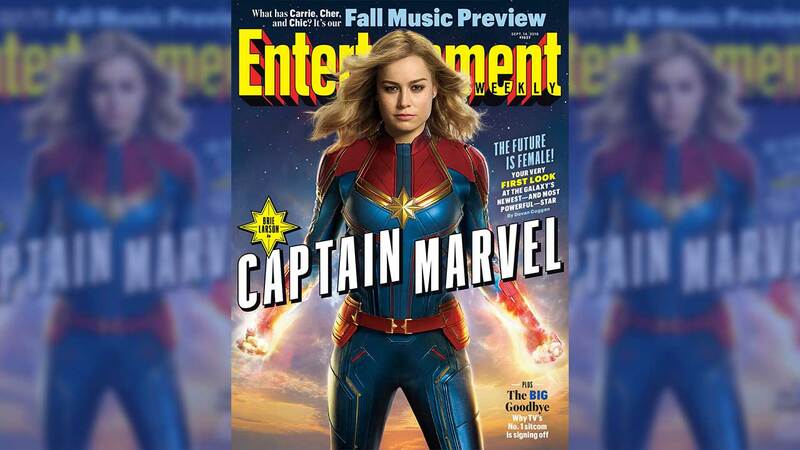 Marvel fans have to wait until next year to see Brie Larson as Carol Danvers and the eponymous superhero in Captain Marvel, but they got an exciting glimpse with new images released Wednesday. The costume for the Oscar-winning actress was revealed on the cover Entertainment Weekly. The film will be the first female-led superhero movie in the expansive Marvel Cinematic Universe. There's a reference to Larson's character during the credit scene of Infinity War when Nick Fury (Samuel L. Jackson) is seen sending a message with Captain Marvel's insignia. The film, though, likely won't reveal much about what happens after the events of Infinity War, as it's set in the '90s. The magazine also shared 10 new images, including a look at a younger Fury and at Maria Rambeau (Lashana Lynch), who is one of Danvers' oldest friends. Captain Marvel hits theaters March 8, 2019. The fourth Avengers film is slated for early May.